Read what nice things our customers have to say about us…. The Willows have been my dental practice for over ten years now, and I have always found them kind and helpful, they really know how to put your mind at ease, no matter what your treatment requires. This dental practice are very friendly and i feel that they offer me and my family the treatment we need. The ladies at reception are helpful and ring me to remind me when my appointment is. I would recommend the willows to anyone looking for a professional friendly practice. Being a very nervous patient i was worried about finding a dentist when i moved to Hereford. Dr Tulacz is very friendly and put me at my ease and i didnt feel rushed, i have been for treatment and check ups and and feel i am in good hands, the staff always great me with a smile and even a visit with the hygienist isnt too scarey! would recommend the willows for professional friendly dentistry. I recently joined the practice after being without a dentist for some years. The dentist was friendly and put me at my ease he explained what he was doing and gave me a print out of costs and options for the treatment I need. I have completed my treatment now and am thrilled with the results, and now realise how more confident I feel now that my teeth look good. The treatment carried out without any pain and I hardly noticed the injection, I felt the dentist was very skilled and professional and I would recommend him to anyone looking for a dentist. I first met the hygienist the Hygienist when I was referred to her in August 2006 having just joined The Willows as a new patient. At that time, I was close to having serious periodontal disease and my dentist was concerned enough to talk about referring me to a periodontal specialist. But first he suggested that I have a few sessions with the hygienist to see what she could do. Over the last six years , she has brought my gums back to health and ensured that they are maintained. Her technical ability is obviously excellent but what makes the hygienist different is her huge enthusiasm for her profession and the support and encouragement she gives her patients. Always, professional but friendly and welcoming, she keeps me informed during our sessions and is always quick to praise when there was improvement. It is easy to lapse in terms of dental hygiene but she has always ensured that I have the will and determination to carry through her recommendations every day. I owe her a huge debt of gratitude. Willows is a friendly and reliable dental practice with a family focus. Get in touch and book an appointment today! We provide a friendly, reliable and safe dental service to the families of Hereford, many of whom have been with the practice for some 40 years. 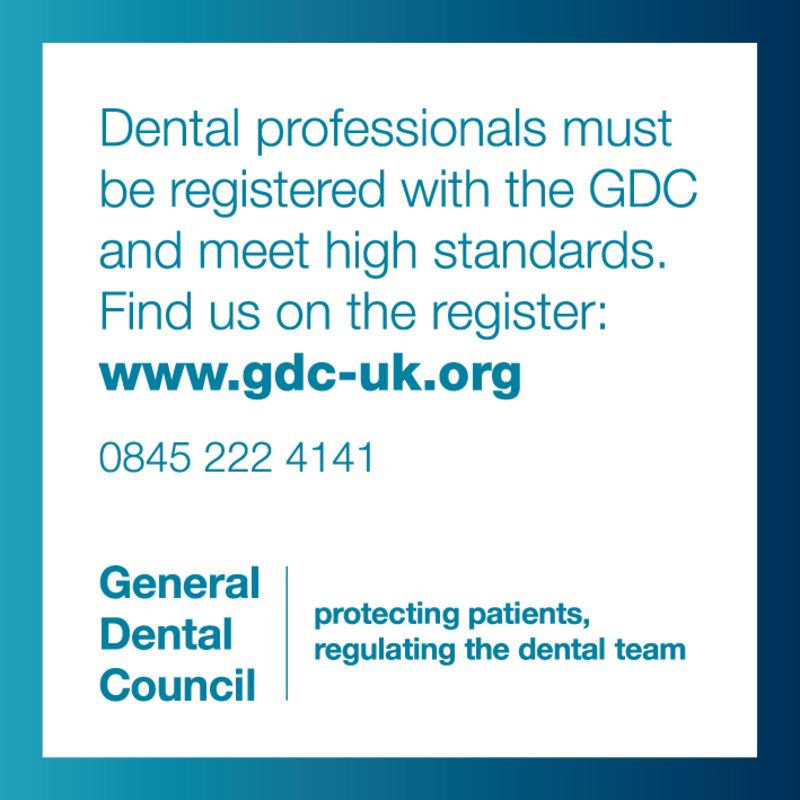 Our dentists are registered with the General Dental Council. Website last updated 19/02/19.